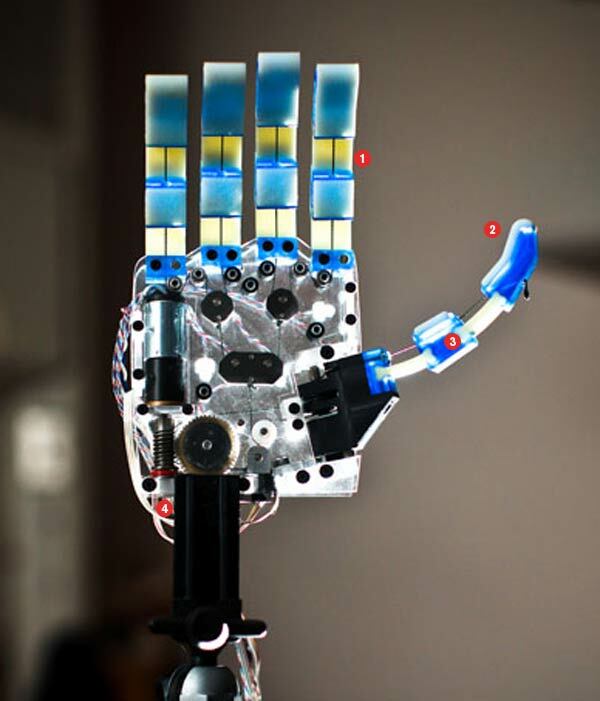 Robotic hands made quickly and easily out of plastic have loads of benefits over the traditional metal hands. Aaron Dollar, an assistant professor of mechanical engineering at Yale, has invented a robot with a soft touch. His plastic hand is deft enough to grasp a wide variety of objects without damaging them. What’s more, it’s cheaper and requires less processing power than the metal hands typically used in robots. Read the rest at Tech Review. While there, you can also watch a video I made of how the robotic fingers are constructed, from start to finish. One of the lab members is even putting the robotic hands on small helicopters!